"We are delighted to have entered into this new import agreement with Shaw Ross International," says Philippe Sereys de Rothschild, Chairman of the Supervisory Board of Baron Philippe de Rothschild. Bordeaux-based Baron Philippe de Rothschild SA and Shaw Ross International Importers, LLC today announced they have entered into an exclusive U.S. import agreement for its French branded wines, Mouton Cadet, the world’s best-selling Bordeaux wine, and the Pays d’Oc varietals. According to both parties, the agreement takes effect as of August 7, 2017. “We are delighted to have entered into this new import agreement with Shaw Ross International. Mouton Cadet features unique style and the finest winemaking skills backed up by Baron Philippe de Rothschild’s history. With its team’s expertise and our shared vision of excellence, we are very confident that Shaw Ross will continue to build the most efficient network of distributors and play a major part in the performance of Mouton Cadet and our French branded wines on the American market,” says Philippe Sereys de Rothschild, Chairman of the Supervisory Board of Baron Philippe de Rothschild. Baron Philippe de Rothschild’s branded wines were previously imported by Constellation Brands USA which will work closely with Shaw Ross to ensure a smooth transition in the months to come. Mouton Cadet was created in 1930 by the legendary Baron Philippe de Rothschild (1902 - 1988). It was first introduced to the American market in the 1950’s with great success. Thanks to Baroness Philippine de Rothschild (1933 - 2014), Mouton Cadet has experienced significant growth thus expanding its international distribution and leadership to 150 markets, becoming the best-selling Bordeaux brand worldwide. Since 1933, the family-owned company Baron Philippe de Rothschild SA, located in the heart of the Pauillac vineyard, has been motivated by a constant ambition: to make the world’s finest wines, each in its own category. That applies both to the châteaux wines for which it is responsible - the renowned Château Mouton Rothschild, a First Growth, Château Clerc Milon and Château d’Armailhac - and to its branded wines, including the famous Mouton Cadet, the world’s best-selling Bordeaux wine. Baron Philippe de Rothschild’s expertise and excellence are also to be found in the Pays d’Oc with Domaine de Baronarques, in California with Opus One, and in Chile with Almaviva. 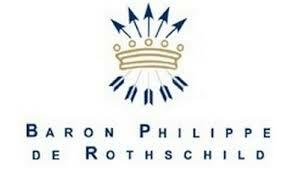 The company also produces branded wines at the Baron Philippe de Rothschild Maipo Chile bodega. For more information go to http://www.bpdr.com. Founded in 1968 as a wine and spirit importer representing a handful of brands, Shaw Ross has grown into one of the nation’s leading importers representing 35 suppliers from around the world. Shaw Ross continues to evolve its portfolio to keep ahead of the ever-changing wine and sprit industry for more information go to http://www.shawross.com.